How do I set up user hourly rate? 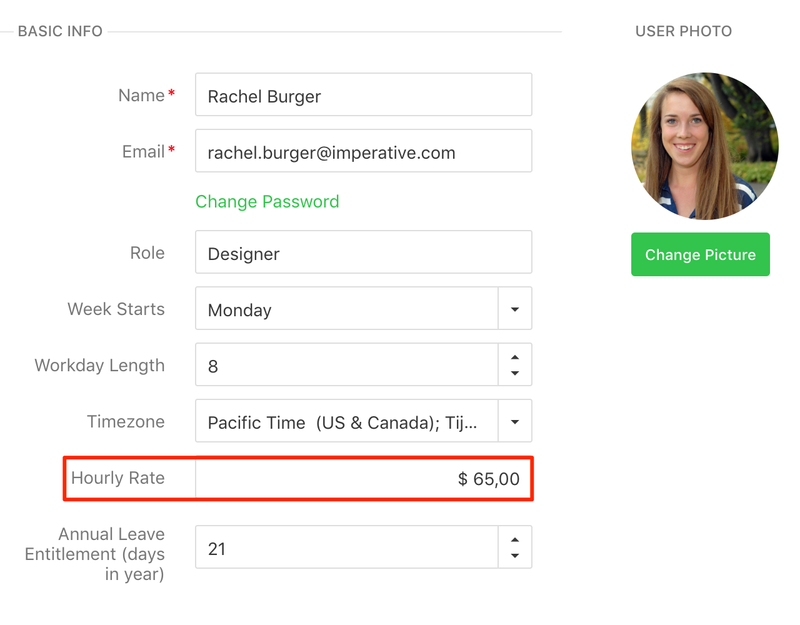 You can set a user hourly rate by going to Users → select a user → Edit user and set the price/hour rate. Tips & Tricks The user hourly rate is the default rate used for Time & Materials projects, unless you select a different billing priority rate.